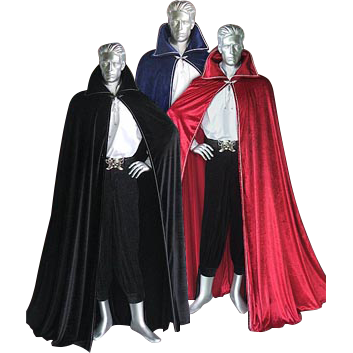 The Vampires Cloak is made from velvet fabric with a high collar. The Vampires Cloak comes in sizes small, medium, large, and x-large. The cloak is offered in classic black only. 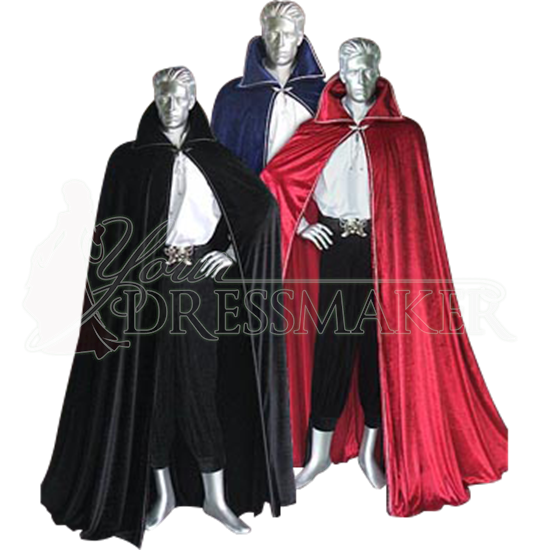 Our Vampires Cloak is the perfect finishing touch to your vampire or medieval costume.